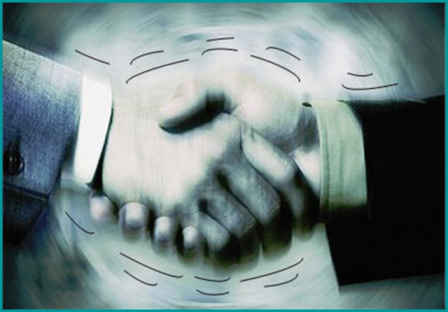 Your handshake is the business card you leave behind – people will always remember you by it. 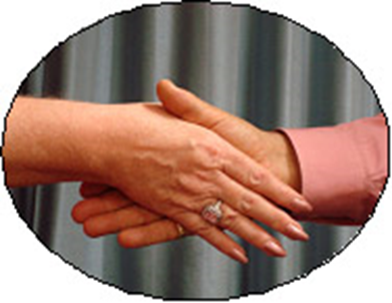 Ensure at all times your handshake demonstrates your personal brand and professional business etiquette in the first few seconds of meeting someone. You know…that limp, “sloppy dishcloth” type of handshake. What is says: the person is weak in character, cold in nature, insincere, lack of commitment. It can be due to cultural reasons – in Asian and certain African cultures it demonstrates respect. 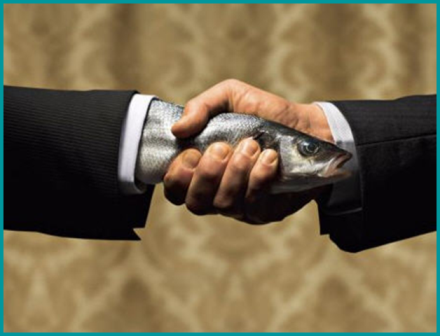 A firm handshake can be seen as offensive. 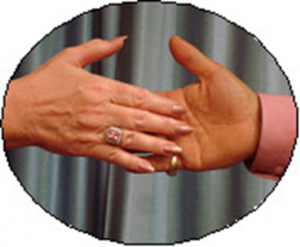 Normally a female greeting –where just the fingers are given as a handshake. Women get it from outdated social expectations, when they were expected to shake hands softly. What is says: not interested in you, the situation. I would rather be doing something else-somewhere else. Also conveys weakness, uncertainty, and pretention. A client once gave me the bone crusher and broke every nail on my hand! What is says: the person is wanting to take over, dominate the situation. They are insecure and trying to make up for this with a bone crushing handshake. Engaging one hand with the other person’s hand, then placing the other hand on top, creating a comforting enclosure. What is says: nurturing, warm friendly, endearing, sympathetic. It can also be seen as the “Politician’s” handshake someone not to be trusted. 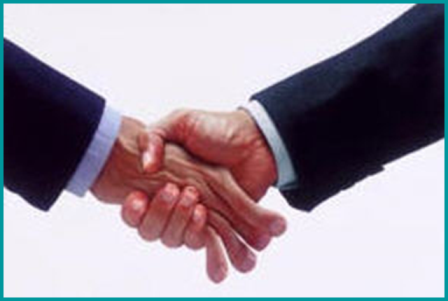 Unless you know the other person understands the meaning of this handshake avoid it in business. When shaking someone’s hand 2/3 pumps is sufficient-avoid “over-pumping”. This makes the other person uncomfortable as they don’t know when to let go. 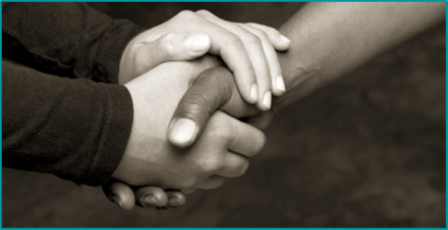 What to do: Step into the person’s personal space area and lower your hand – its almost forces an automatic release. Men don’t be afraid to give a woman a firm handshake – as long as its not a bone crushing one. Women, shake a man’s hand with strength, no dead fishes! 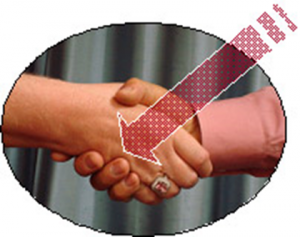 Aim the web of your hand straight into the web (between your thumb and forefinger) of the other person’s hand. Get the two webs contacting one another. 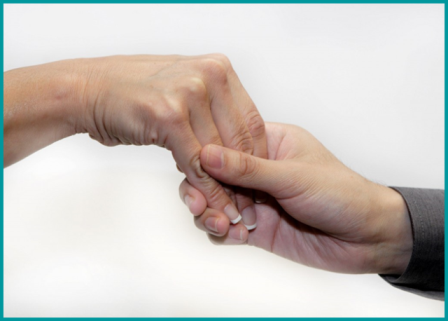 Wrap your fingers against the back of the other person’s hand. Two to three pumps. 1. You get a good grip, sending messages of confidence and strength. 2. You convey warmth with a “wrap-around” feel. If you have no idea what your handshake is saying right now practice it with your friends and colleagues and get their feedback rather than sending out the incorrect message. Ensure you send out the best possible impressions in the first few seconds of interacting with anyone by giving them the correct handshake. Happy handshaking!